Last week, the Center for Disease Control and Prevention announced that the flu-season is officially under way in the United States. This is the flu’s latest arrival in twenty-four years. Flu-season typically lasts from November to March, winter in the U.S. For this reason, many people believe that cold weather causes illness. However, the fact is that viruses, not weather, cause influenza, a respiratory infection that is commonly called the flu. In the colder months, people tend to gather indoors and interact in close proximity. This increases the chance for spreading germs. This winter, however, mild conditions have dominated the weather across much of the country. As a result, people have been spending more time outdoors. Some medical experts cite this as one of the reasons for the reduced spread of the virus. 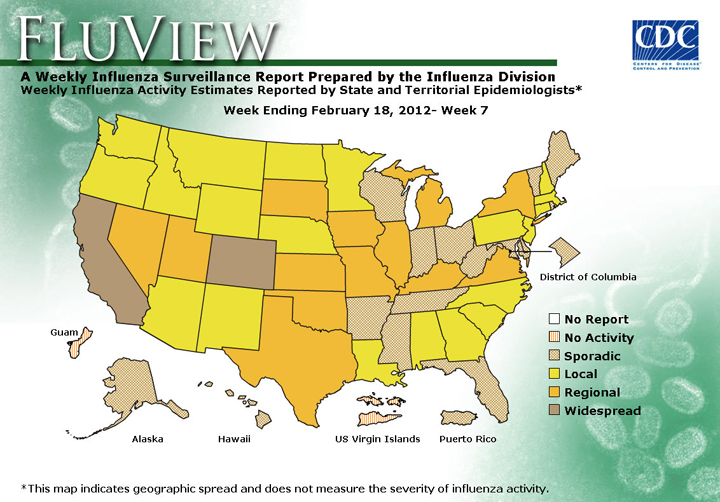 Nonetheless, the flu is still active. Cases have been reported in all fifty states with Colorado and California showing widespread activity. Influenza is an infectious disease that usually affects millions of people each year. To defend against it, the CDC recommends getting an annual vaccination. Other preventative actions include staying away from anyone who is infected and washing your hands frequently. Backcountry winter activities such as skiing and snowmobiling are exhilarating adventures, but can also have serious risks. This winter, avalanches in the Unites States have claimed the lives of seventeen people, including four this past weekend. A product of weather and topography, avalanches depend on the steepness of a terrain. A slope between 25° and 60° is considered most favorable for a dangerous slide. A steeper gradient will cause more frequent, but smaller events. Snow, the other key ingredient, accumulates on mountain slopes in layers, forming a snow-pack over time. Each layer is different in texture and weight, depending on the moisture content of the snow. Once on the ground, the snow remains subject to atmospheric conditions. As temperatures rise and fall, the process of melting and re-freezing can form seams of instability in the snow-pack. Eventually, something will trigger an unstable slab to overcome the delicate friction holding it in place. Triggers can be natural or man-made. Some natural triggers include the weight of additional snow, sudden changes in temperature, and falling trees. People can set off avalanches when their activities traverse an unstable snow slab. Once a slab breaks away, it will cascade down the mountain engulfing anything in its path. So, if you are heading out to the back woods, it is vital to heed the avalanche warnings in your area. There is an old weather proverb that says, “A year of snow, a year of plenty.” Rooted in agriculture, it refers to the traditional process of cold winters providing snow cover for fields that prevent crops from sprouting too early. That snow then melts in the spring and provides moisture for a successful growing season. As we now know, this winter has been anything but traditional with most of the United States experiencing uncommonly dry and mild conditions. In fact, today the U.S. Drought Monitor showed that 38% of the country is experiencing moderate drought. This is up from 28% in December. Some of the states most seriously affected by the lack of precipitation include, Texas, Georgia, Florida, and parts of California. 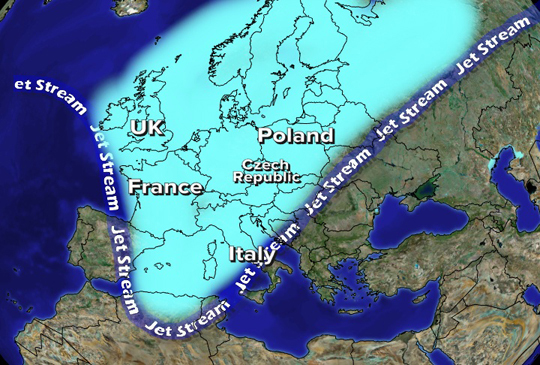 One of the reasons for the quiet weather this winter is the northern position of the Jet Stream. Also known as the “storm track”, the Jet Stream usually dips south in the winter bringing cold air and snowstorms to the continental U.S. The current La Niña episode, however, has pushed the Jet Stream north keeping most of the lower forty-eight states warmer and drier than normal. 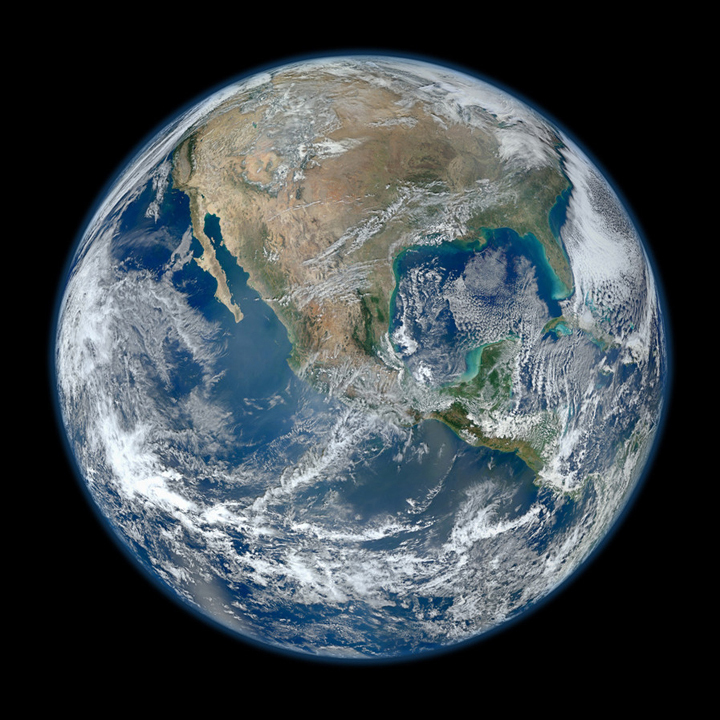 Forecasters are predicting an end to this pattern in the spring when La Niña is expected to subside. 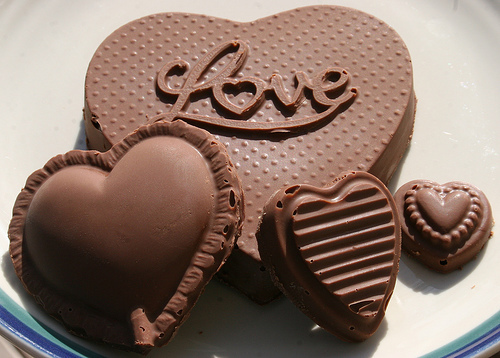 Today is Valentine’s Day and the exchange of heart-shaped chocolates is a tradition for many couples. The price of this customary gift, however, is forecast to increase as cocoa, the main ingredient in chocolate, faces the challenges of climate change. Chocolate, a nine-billion-dollar global industry, obtains more than 50% of its cocoa supply from the West African nations of Ghana and Ivory Coast. A recent study by the International Center for Tropical Agriculture found that within the next 20 to 40 years, the climate of this region is likely to become too warm to continue growing the fragile cacao trees. 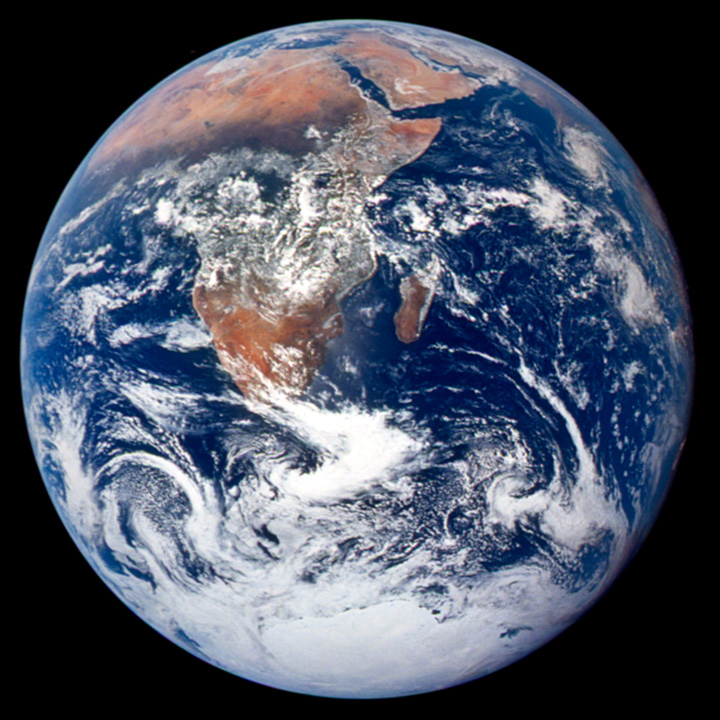 In the shorter term, extreme weather events like drought are threatening this sensitive crop. As a result, supplies are likely to fall causing prices to go up. So, enjoy your chocolate treat this Valentine’s Day and remember that this sweet gift is likely to be more dear in the future. Winter is usually the time for outdoor activities like ice-skating or cross-country skiing. This year, however, the unseasonably mild conditions have limited the opportunities for many traditional winter sports across the U.S.
A brief cold blast of winter, like the one forecast for the New York City area this weekend, is generally not enough to form ice capable of supporting significant weight. Below is a guideline on how thick ice needs to be to support different activities. The measurements refer only to new, clear, solid ice. White ice usually has air trapped inside it and is consequently not very strong. The thickness of ice can vary dramatically from spot to spot on the same pond or lake. Therefore, it is always best to follow the instructions of local officials and posted signs. When in doubt, stay off the ice. It is better to be safe than sorry. The severe cold snap that has been affecting a large part of Europe reached the coast of North Africa earlier this week. As a result, some towns in Libya and Algeria experienced a rare snow event. Algiers, the capitol city of Algeria, along with a number of neighboring provinces, saw snow and ice accumulations measuring between six and eight inches. Several parts of Libya, including the capitol, Tripoli, received between two and three inches of snow. This was the heaviest snowfall the area has seen in many years. Snow in these cities is very uncommon given their southerly latitudes and position along the relatively warm Mediterranean Sea. These unusual wintry conditions in North Africa coupled with the snow-drought in much of the United States, highlights how exceptional this winter season has been around the globe. Last week, following a mild start to the season, winter found Europe. From the U.K. to Russia and as far south as Italy, temperatures plummeted well below freezing and snowfall accumulated in substantial amounts. Rome was blanketed by eight inches of snow. That is the most snow the city has seen in over twenty-five years. Venice was so cold that its famous canals partially froze. The hardest hit areas, however, were in Eastern Europe. Places in Ukraine reached temperatures of 33° Celsius below zero, that is -27°F. These are some of the harshest winter conditions that Europe has experienced in decades. This intense cold snap caused serious problems in a region that is used to more moderate winters. Power outages, transportation delays, and sadly over 300 weather-related deaths have been reported across Europe. While this deep dip in the Jet Stream remains in place, the cold and in some cases, severe weather are forecast to continue. Jet Stream dipping south over Europe. Today is Groundhog Day, the midway point of the winter season. According to folklore, on this particular date, the weather conditions of the second half of winter can be forecast by the shadow of a prognosticating groundhog. Upon emerging from its burrow, if the groundhog sees its shadow, there will be six more weeks of winter. If it does not see its shadow, then spring will arrive early. The practice of using animal behavior to predict future weather conditions goes back to ancient times. The particular custom that we are familiar with in the United States began in 1886 with the old world traditions of German settlers in Pennsylvania. Today, many communities across the U.S. and Canada continue this age-old ritual with their own special groundhogs. In New York City, our local weather-groundhog is Staten Island Chuck. His rival is the well-known Punxsutawney Phil from Pennsylvania. This year, Punxsutawney Phil predicts six more weeks of winter while Staten Island Chuck is calling for an early spring. Given the spring-like conditions that have dominated this winter so far, who can blame them for a difference of opinion. January is typically the coldest month of the year in New York City. This year, however, it was unusually mild with an average temperature of 37°F, which is 4°F above normal. These numbers reflect the eleven days we had with temperatures above 50°F. Overall, the city was fairly dry this month with only 3.23 inches of rain. That is 0.42 inches below normal. In addition, we only had one snowstorm that left us with 4.3 inches of snow. On average, January usually brings us about 7.0 inches of snowfall. In contrast to this month’s mild and quiet conditions, recall January 2011. It was cold with an average temperature of 30°F, which is 3°F below normal. It also brought us 36 inches of snowfall and earned the title of the “snowiest” January on record. This winter, the Jet Stream has been staying north bringing us relatively warm and dry conditions…at least so far.